So your Windows 8 Wifi is turned off? and cannot turn back on? Feel free to skip the opening for the Windows 8 Wifi solution, the first few paragraphs are for my rants and Search engine. How unfortunate! Well, you’re lucky enough if you are able to read this post to get the absolute solution for turning back on the Windows 8 WIFI setting on your notebook. Just got my notebook less than a day and I somehow need to turn off the Wifi and plug in the cable. Guess what? When you use the Hotkey (usually Fn+F2 / F3) from your keyboard to turn off the Wifi in your notebook, you will noticed that it only switch your notebook to Airplane mode – which it turn off all wireless devices, i.e. Wifi and Bluetooth! When you press the the hotkey again, it only turn off the Airplane mode but never the wifi and bluetooth on your Windows 8 notebook! There are many solutions if you Google around but those solutions will lead you to hell. Trust me. 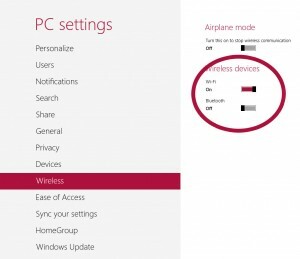 This will open up the Windows 8 Charm Setting page. This is the simplified version of setting page. Step 2 – Click the well hidden “Change PC Setting” text link at the bottom of this Charm Setting Page. 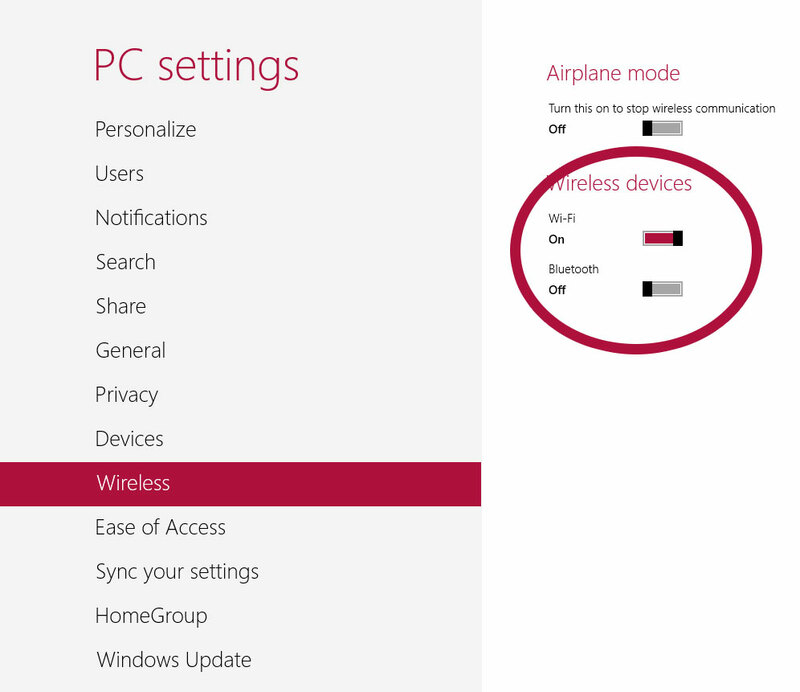 Step 3 – On the Change PC Setting Page, select “Wireless” option from the left menu and you will see the option to turn on Wifi and Bluetooth in the right panel. Finally! Here’s some end note. On my Alienware BIOS Wireless Setup page (Press F2 when booting your notebook), I can see that I can change the keyboard wireless hotkey to turn off different things that is related to wifi. However, none of them works…This is definitely not WIFI driver issue and it affect Bluetooth as well. I’m pretty certain that I have to get a new BIOS update in order to fix this problem. Have to live with this turn Windows 8 Wifi setting bug then. Check out the following URL if you are in search of the best antenna installation company – https://boostpoorsignal.com/distributed-antenna-system-installation-companies/.